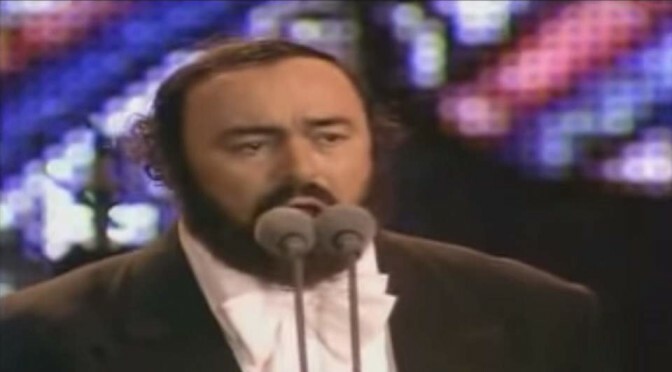 The legendary Italian tenor Luciano Pavarotti sings “Mattinata” (English: Morning) by Ruggero Leoncavallo (from the Central Park Concert – in June 1993, more than 500,000 listeners gathered for his free performance on the Great Lawn of New York’s Central Park, while millions more around the world watched on television.). Composed in 1904, It was the first song ever written expressly for the Gramophone Company (the present day HMV). The song was dedicated to the great Italian tenor of the 20th century, Enrico Caruso; who was the first to record it in 1904 with the composer at the piano. Ever since, this piece has become a concert favorite. And the remastered version: the vocals were recorded on April 8, 1904 in Milan and the instrumentals were recorded in April, 2002 in Vienna (Vienna Radio Symphony Orchestra). I’m singing painfully in vain. and let your cantor cross the threshold! Love is born where you are.